potential for nightmares. 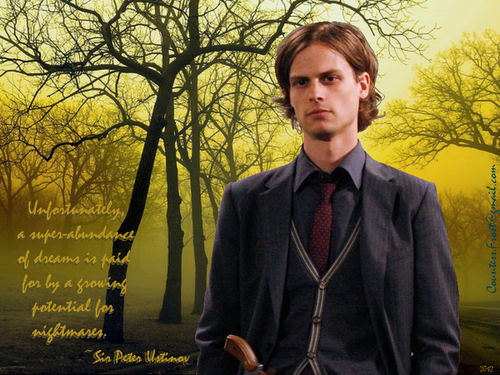 'potential for nightmares' - a Criminal Minds Обои created by TheCountess featuring Dr. Spencer Reid (Matthew Gray Gubler) and a quote by Sir Peter Ustinov. 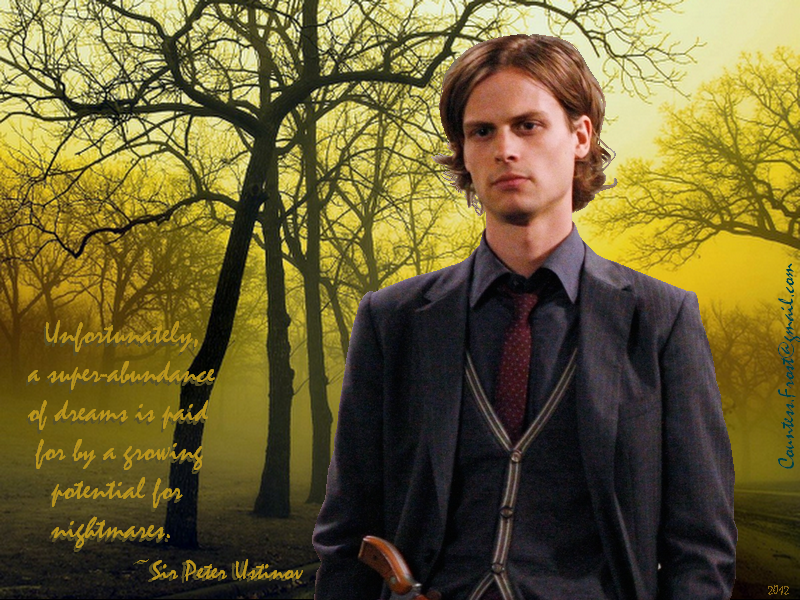 HD Wallpaper and background images in the Доктор Спенсер Рид club tagged: criminal minds tv show dr. spencer reid reid matthew gray gubler sir peter ustinov quote bau fan art wallpaper thecountess. This Доктор Спенсер Рид wallpaper contains молочай, деловой костюм, зима жасмин, жасмин голоцветковый, зимний жасмин, jasminum nudiflorum, зимние жасмин, and жасмин nudiflorum. There might also be лютик, butterflower, масло цветок, goldcup, kingcup, масличный цветок, хэллоуин, ежами, варке, костюм, костюм одежды, костюм тройка, and три костюм.